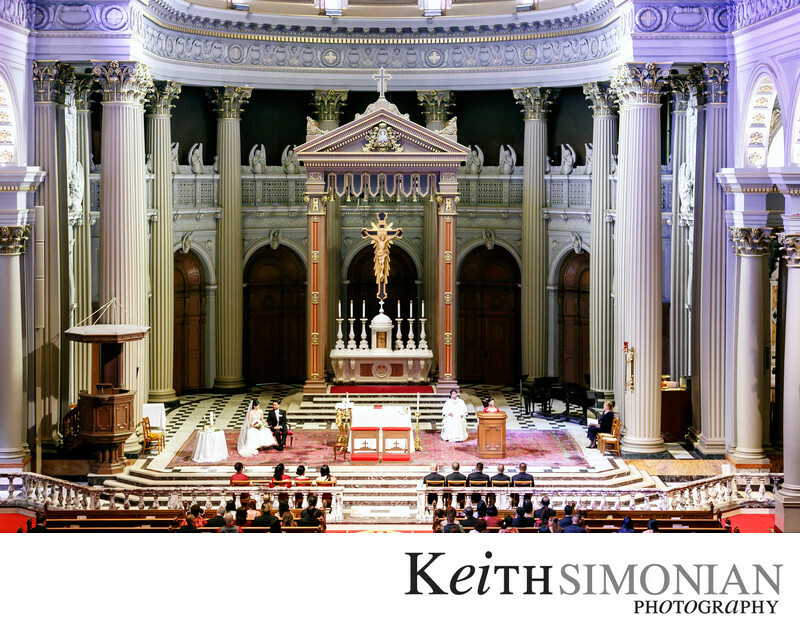 The ability to host a wedding with a thousand people in attendance and the amazing design and architecture make St. Ignatius church in San Francisco an outstanding place to get married. This photo taken from the back balcony shows the bride and groom sitting during a reading by one of their friends. As St. Ignatius is a Catholic church, the wedding ceremony was a full mass and a reading was taking place. Location: Saint Ignatius Church 650 Parker Ave San Francisco, CA. 1/60; f/3.2; ISO 1600; 70.0 mm.